In most cases, however, long-sighted people just need a little help with close-up activities like reading or viewing their phones or computer screens. Usually this help comes in the shape of a pair of reading glasses. Reading glasses come in a range of strengths, or ‘diopters’. 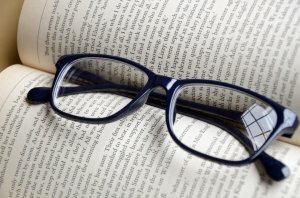 Reading glasses (or long-sighted glasses), have plus (+) value diopters, whereas glasses for short-sightedness, or ‘myopia’, have minus (-) values. If you are long-sighted you can find out which strength is best for your eyesight with our free guide here. And, as you will see when you browse our range, our prices are so low you can order a few pairs - for work, home and travel! You can order online or by phone on +44 (0)20 8953 1102 between 9am and 5pm. Postage and packaging in the UK is FREE!